Lured in by the promise of "instant" sale of my cards, with money deposited into my PayPal account, I just gave Plastic Jungle a try. 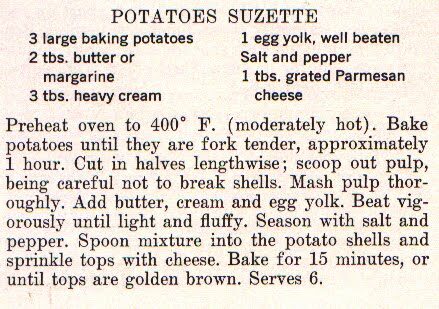 What an exercise in being peeved-off. 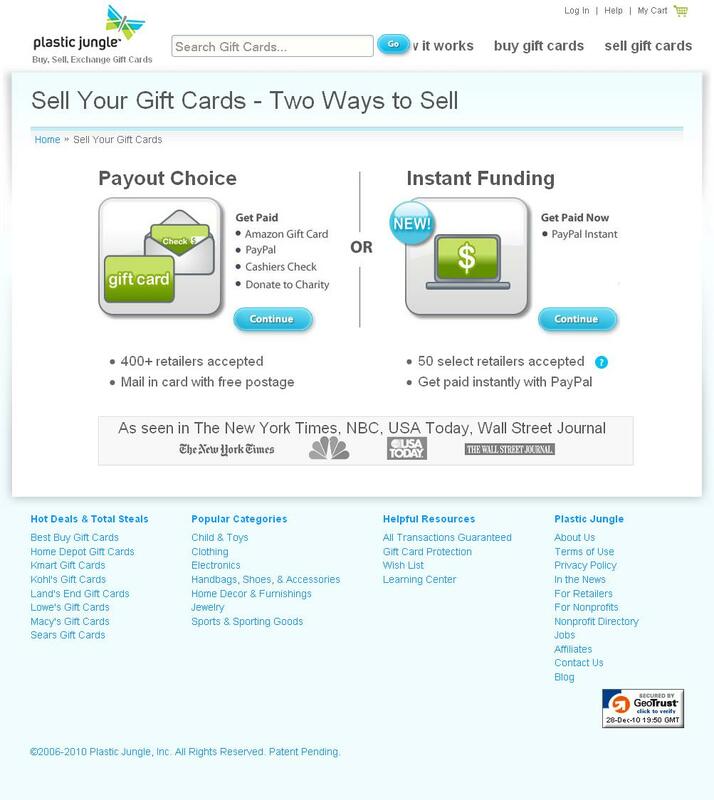 The Instant Funding option to sell your gift cards for cash is supposed to be simple: You select the store, fill in the card number and PIN, if your card has one, and click submit to get your offer. What's supposed to happen after that? I have no idea. After I clicked to submit my gift card information, the screen showed one of those by-now-too-familiar "spin" icons to signal the technology is working. But, after an agonizingly long wait, nothing happened. I checked my account in case I wasn't understanding how the process was supposed to work; after all, Plastic Jungle is short on information where you need it. But no transactions or notifications of any kind. Ditto my email inbox. After trying to submit three times, followed by three checks of my account, with no apparent success, I clicked "help" and that's where I discovered the fine print: cards must have a value of $15 or more. My card's value was only $10. I wouldn't have entered it had I known that. So why the hell do they bury that info? And why didn't the system tell me I had committed such a sin with a specific error message? I then tried three other store cards -- three other cards, each from a different store, each well over the $15 minimum, each attempted submission followed-up by a check on my account, and each with the same infuriating result: Nothing. No error message. No offer. No page change. No transactions, no notices, no emailed notifications. I called customer service -- during normal business hours; and was forced to leave a voice mail message (and the list of information they request from you is ridiculous to ask; upset, frustrated people are calling, not some potential date who's really into you). Plus, we all know how frustrating it is to leave a message for a company -- one that boasts how large they are on their corporate page. They are supposed to be there for us; we aren't supposed to sit idle, by the phone, waiting for a call from them who-knows-when, hoping we don't miss it and have to call and start the cycle all over again. After 30 minutes of waiting, I used the site's contact form. I received an email "thanking me" for my contact (without a copy of what I wrote). But did not hear back. Navigating around the annoying ad, I tried one of the cards again. This time, the only difference was that after the submission-spinning, the window changed -- leaving only the page header and footer. No offer, no message, just a shorter window. I once again checked my account page; no transactions or notices. So this apparently trying a different browser wasn't the solution either. You might think I'm not being gracious enough in my waiting for returned phone calls &/or emails -- but this was supposed to be Instant Funding, remember? The bottom line here: Plastic Jungle is hardly "instant" and hardly any sort of convenience; quite the opposite. But if you love to be aggravated, frustrated, annoyed -- and not sell your gift cards -- then you'll love it. Our apologies for the overdue response. We have been overwhelmed with phone calls and emails due to the holidays and have been diligently working on resolving every issue for each customer. We were experiencing a technical issue with our instant paypal but since has been resolved. Please let us know if you are still experiencing problems using this method. Yes, their excuse may be probable; but then why not use the system to contact all members to let them know there was an issue and it has been fixed? Why not post a note site-wide to communicate that all is now well? Something to assure that the difficulties were temporary and reassure that during this time, our information was safe, etc. Since that time, I listed my unwanted gift cards for sale on eBay. Each sold -- and I received my payments for them -- within hours of listing them. Still far more "instant" than any other service. No minimum gift card amounts either. The fees were low and I daresay that all-told I received what I would have from any other site buying gift cards. 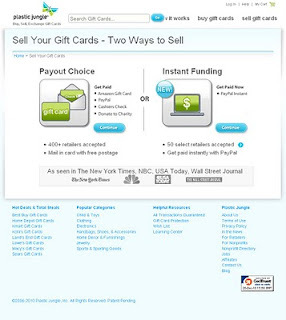 While eBay limits you to listing one gift card per store at a time, once one sells, you can list another rather simply. Martha Sleeper's Original Lime Soup as published in Fast Gourmet, by Poppy Cannon (The Lima News, April 22, 1963). This General Electric ad (found in the December 1943 issue of True Story) serves up some wartime tips on energy conservation. 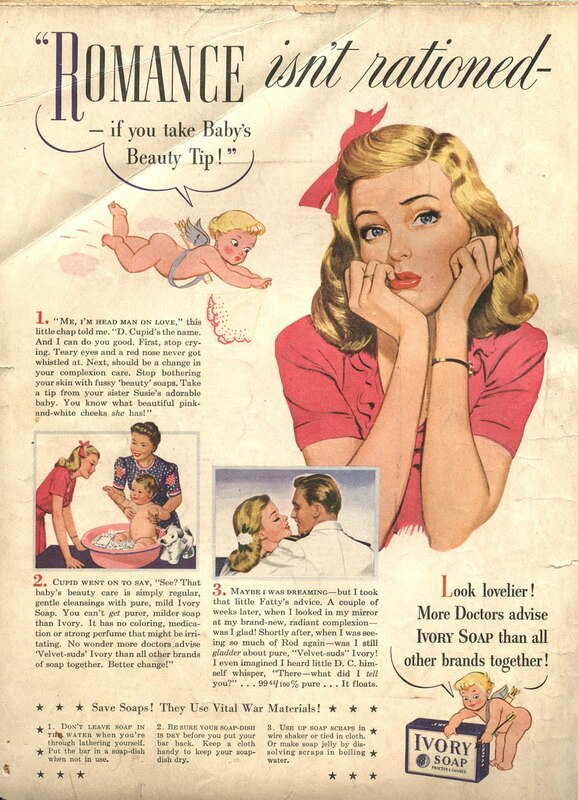 At the bottom of this "Romance Isn't Rationed" ad for Ivory Soap, tips for saving soaps. The last tip combines two tips on soap I've previously shared. 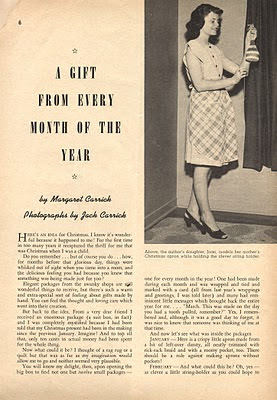 From Modern Woman Magazine (Volume 15, Number 7, 1946), a two-page article by Margaret Carrick (photography by Jack Carrick) titled "A Gift From Every Month Of The Year" that discusses the lovely gift package the author received. 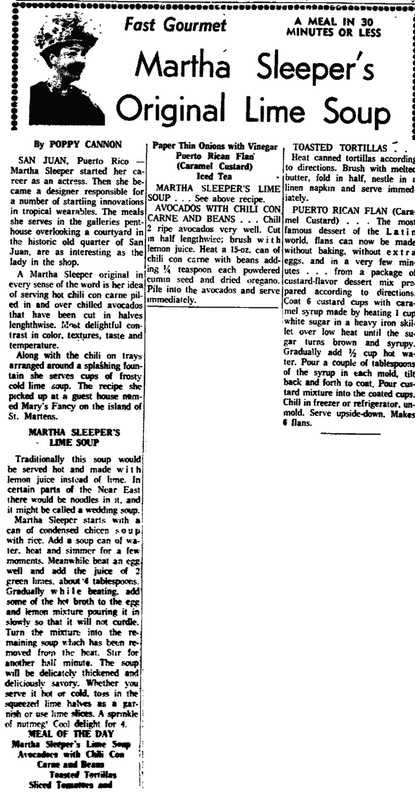 The gift package contained 12 items, one for every month of the year -- and each handmade. 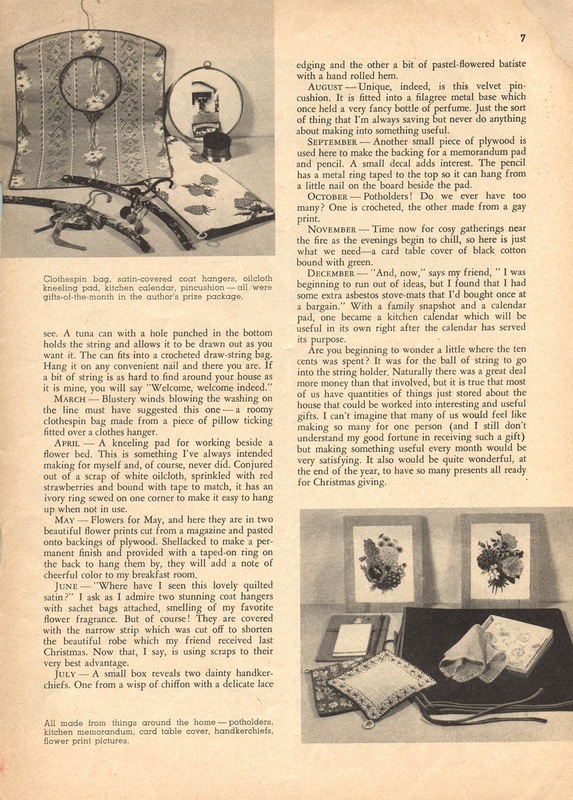 The author boasts that the total monetary cost of the gift was 10 cents as the gifts themselves were recycled items or made with scraps and other leftover items. It may be too late for this year, but once the New Year starts, you know you'll be hibernating and want projects to work on! January -- A crispy little apron made from a bit of left-over dimity, all neatly trimmed with rick-rack braid and with a roomy pocket, too. There should be a rule against making aprons without pockets! February -- And what could this be? Oh, yes -- as clever a little sting-holder as you could ever hope to see. A tuna can with a hole punched in the bottom holds the strong and allows it to be drawn out as you want it. The can fits into a crochet draw-strong bag. Hang it on any convenient nail and there you are. If a bit of string is as hard to find around your house as it is mine, you will say "Welcome, welcome indeed." March -- Blustery winds blowing the washing on the line must have suggested this one -- a roomy clothespin bad made from a piece of pillow ticking fitted over a clothes hanger. April -- A kneeling pad for working beside a flower bed. This is something I've always intended to make for myself and, of course, never did. Conjured out of a scrap of white oilcloth, sprinkled with red strawberries and bound with tape to match, it has an ivory ring sewn on one corner to make it easier to hand up when not in use. May -- Flowers for May, and here they are in two beautiful flower prints cut from a magazine and pasted onto backings of plywood. Shellacked to make a permanent finish and provided with a taped-on ring on the back to hand them by, they will add a note of cheerful color to my breakfast room. June -- "Where have I seen this lovely quilted satin?" I ask as I admire two stunning coat hangers with sachet bags attached, smelling of my favorite flower fragrance. But of course! They are covered with the narrow strip which was cut off to shorten the beautiful robe which my friend received last Christmas. Now that, I say, is using scraps to their very best advantage. 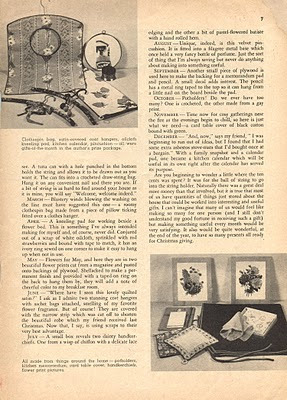 July -- A small box reveals two dainty handkerchiefs. One from a wisp of chiffon with a delicate lace edging and the other a bit of pastel-flowered batiste with a hand rolled hem. August -- Unique, indeed, is this velvet pincushion. It is fitted into a filagree metal base which once held a very fancy bottle of perfume. Just the sort of thing that I'm always saving but never do anything about making into something useful. September -- Another small piece of plywood is used here to make the backing for a memorandum pad and pencil. A small decal adds interest. The pencil has a metal ring ring taped to the top so it can hang from a little nail on the board beside the pad. October -- Potholders! Do we ever have too many? One is crocheted, the other made from a gay print. November -- Time now for cosy gatherings near the fire as the evenings begin to chill, so here is just what we need -- a card table cover of black cotton bound with green. December -- "And now," says my friend, "I was beginning to run out of ideas, but I found that I had some extra asbestos stove-mats that I'd bought once at a bargain." With a family snapshot and a calendar which will be pad, one became a kitchen calendar which will be useful in its own right after the calendar has served its purpose. Obviously some of these ideas are a bit dated... String is rarely looked for, let alone considered useful outside of the craft room, and anything with asbestos is a no-no, etc. ; but these ideas sure do illustrate the power of recycling and creating things from scraps. PS If you're wondering what the 10 cents was spent on, I'll tell you: The ball of strong to go in the string holder. 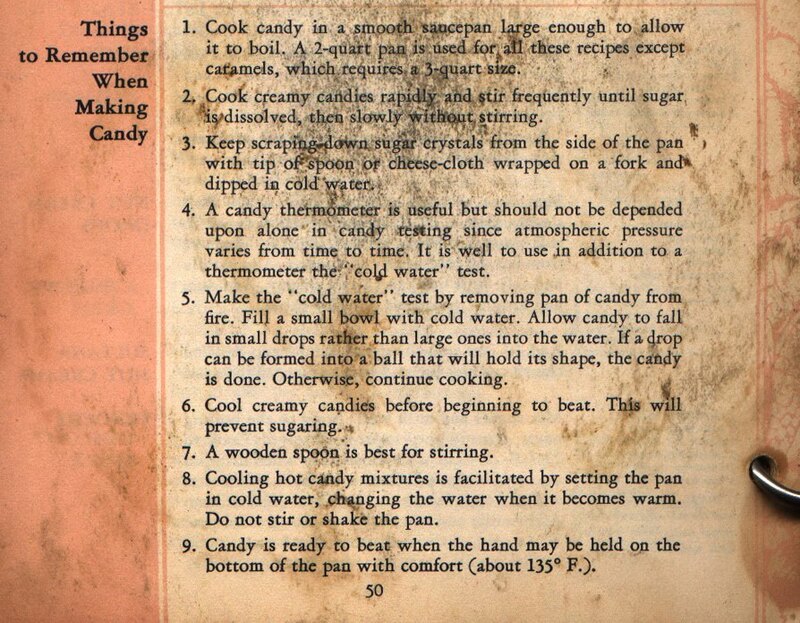 From the 1931 Pet Milk Cookbook, tips for making candy -- and if you'd like to test your skills, a vintage Pet Milk recipe for Pineapple Fudge. When I spotted this latest contest (to win a designer tote bag), I wasn't sure I should post it -- I had just posted a few contests to enter. 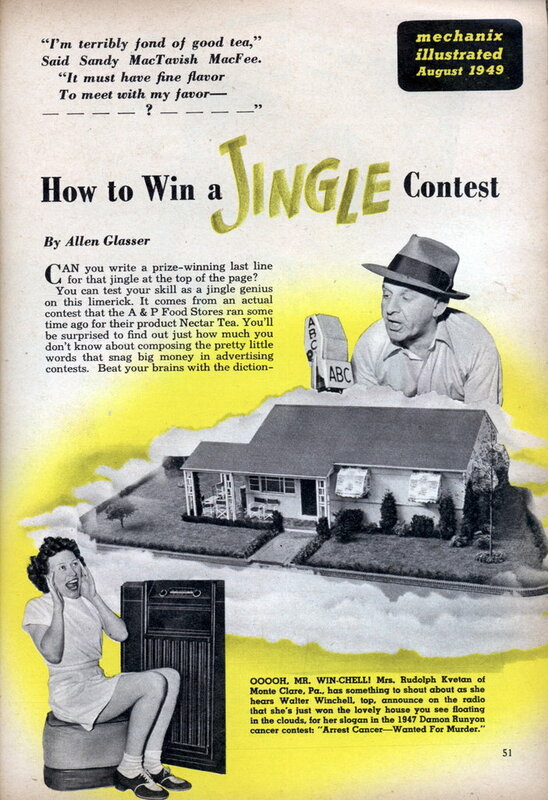 But then I was reminded of an old article I'd read about (and a dozen or so more written by) those who virtually made their living off of winning contests. Not just free products, but cash prizes writing jingles etc. But the whole idea of winning contests as a way to support one's self or one's family reminded me of the number of people who expect their computers and Internet connections to "pay for themselves." Especially in the early days of the world wide web. I remember when I was pregnant with my son (now 10 years old), making the most of my 's physically exhausted self's time time by planting myself in front of the PC, searching for freebies, coupons, and rebates. I'd compare all that to the store flyers for sales and maximize every dollar with my shopping list. I was quite good at it. Once I got a 36 pack of double-rolled name-brand toilet paper not just for free, but the store paid me $2.36 to take it. And I paid less than $10 for the back-to-school supplies, including the calculator. Aside from bragging (and chastising myself for not doing more of this now), I am reminded that this bit of thrift has an old history. And so I shouldn't ignore posting contests as I find them -- and the time to do so. To that end, I will tell you that Ascending Butterfly now has a fantastic number of contests and giveaways going on right now. 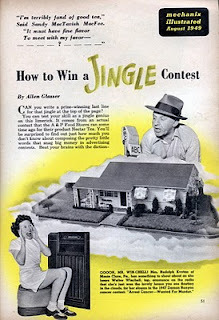 And Online Sweepstakes is an incredible resource for those who want to add winning to their thrifty ways. This ad for Argo corn starch suggests having the family fingerpaint the holiday gift wrap and other items for the season. 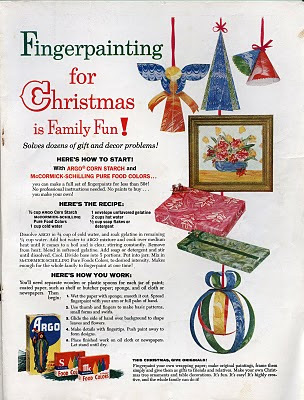 They even give a recipe for making your own finger paints using Argo corn starch. Contests: Enter to win a cupcake making kit from Saint Cupcake; enter to win a $50 gift certificate from Theda Bara Vintage lingerie. Holiday gift and shopping tips: How To Get & Give Vintage For The Holidays, How To Get The Gifts You Want From The Man (Or Men) In Your Life, and Tips On Using EBay & PayPal For Holiday Shopping. I found a vintage photo very inspiring and now have a new project for the bedroom to consider. The Retro Housewife echos my sentiments on the apron. Some tips on wrapping gifts. 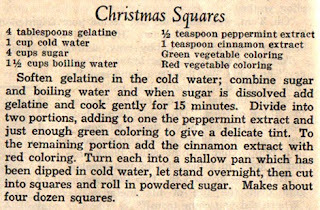 Vintage Christmas treat recipe and illustration from that December 1932 issue of Woman's World magazine. 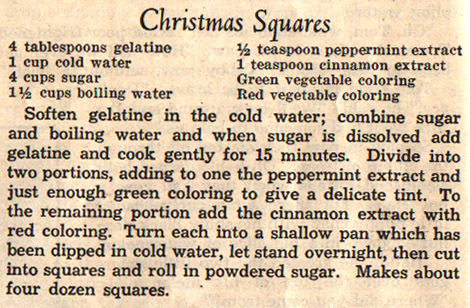 Tips on helping your real or natural Christmas tree last longer, from an October, 1960 newspaper clipping. A vintage newspaper clipping that answers the question, "How can I brighten furniture?" 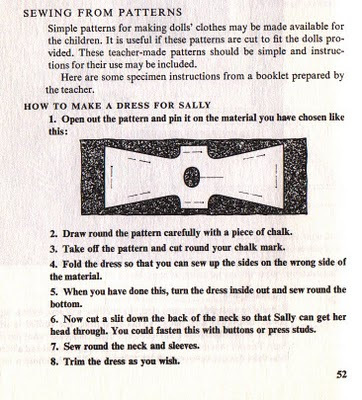 by suggesting a wash, a rinse, and a dry -- followed by a homemade "polish" and a final rubbing with an old piece of silk. 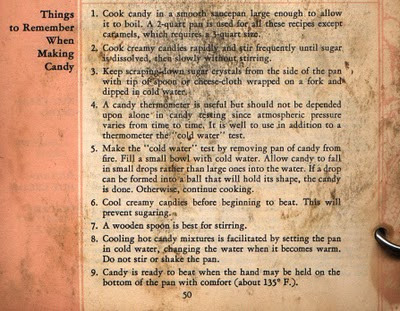 A recipe said to be from or used by Jackie Kennedy, as published in the 1962 Dell Purse Book, The Jacqueline Touch. If you've been thinking of trying to save some money by hanging your clothes out to dry even in winter, and your friends think you're crazy, remind them that once upon a time, that was the only option! 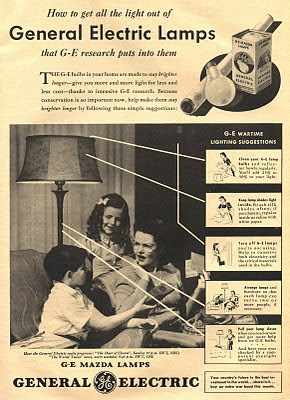 Then look at this tip found in Watkins Household Hints by Elaine Allen (copyright, 1941, by the J.R. Watkins Company, Winona, Minnesota). 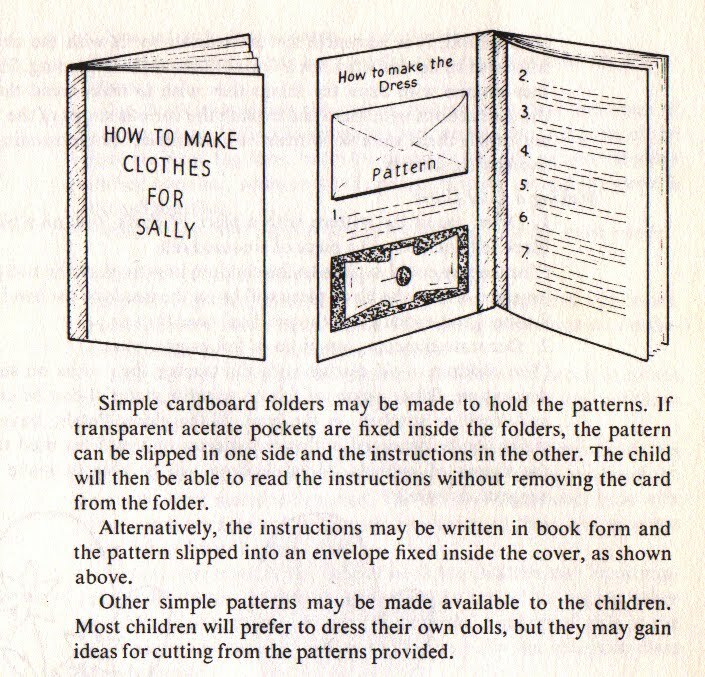 Beginning Arts and Crafts by Renee Seville (1971) is a book assisting and encouraging arts and crafts in the classroom. 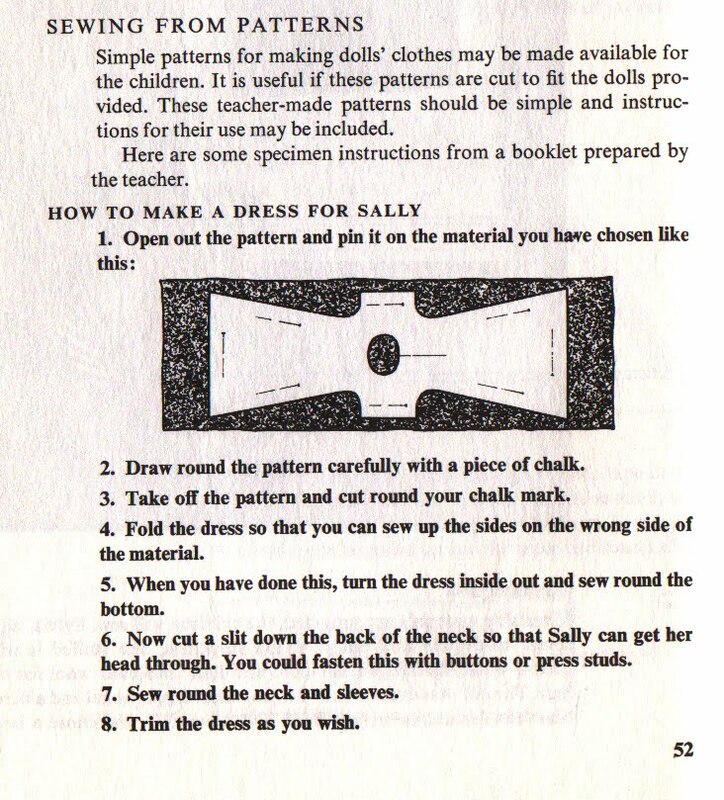 This selection is on sewing, specifically clothing for dolls. 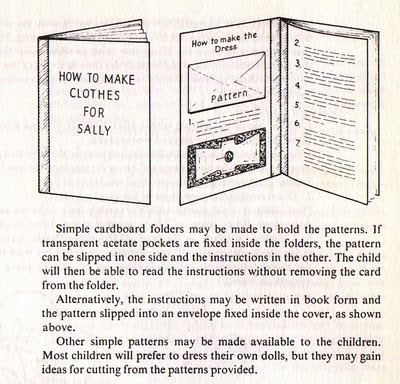 While this section is short on actual patterns, I found the cardboard folders with envelope pockets for patterns and printed instructions rather cool, in an old school kind of way.